Through developing and investing in market-rate and affordable housing solutions, Cohen-Esrey helps residents, local and state agencies, investors, and asset managers realize top quality benefits from multi-family communities and tax credit solutions. We are innovators creating exceptional experiences for everyone we serve. Through our unique culture, we build trust and relationships and innovate to solve complex challenges and make communities better. Wherever we work, we bring along a deep commitment to the values that guide us. Explore our values below to see how they come to life in all we do. Click the values below to learn more. Integrity: We act with honesty, openness and unity. Cohen-Esrey President & CEO Lee Harris and John Hinman, Managing Director of CE’s Construction Technologies were having breakfast at Cozy’s Café, a local favorite in Overland Park. The Café’s owner and namesake Cozy mentioned to John that her air conditioning system wasn’t keeping the restaurant cool, and she thought another HVAC unit was needed on the roof. John asked Amiel Hillman of Service Technologies, CE’s service and maintenance business group, to make a service call. He inspected the HVAC system and found the cooling coils to be extremely dirty. He cleaned the coils and resolved the situation. Because Cozy suggested adding a new HVAC unit, another company might have given her a new unit that she didn't need. However, working from our Core Value of Integrity, Amiel and ST first investigated other probable causes and only fixed what was needed. Commitment: We hold ourselves accountable and deliver on our promises. The Cohen-Esrey team at the 164-unit Astoria Park Apartments in Amarillo, Texas, has gone above and beyond the call of duty in demonstrating Commitment. They have developed a community garden concept that has become a model to be implemented on other Cohen-Esrey properties. A portion of unused land was identified within Astoria Park that was designated for use as a community garden. Gilbert Pedraza and his management team in conjunction with Angela Morehead and PreservingUS, Inc., coordinated with the Amarillo Food Bank to procure the seeds and teach classes for the residents; various landscape companies have donated fertilizer; West Texas State College has donated the soil, and the City of Amarillo has contributed the mulch. The program launched in 2014 and has expanded each year to now include three specific areas for the garden. Today there are 90 garden plots available with more than 100 residents participating. The initial establishment and annual renewal of the community garden has required a substantial effort and Gilbert and his team have remained committed to seeing that it is bigger and better every year. Customer Fulfillment: We strive to exceed our customers' expectations. Cohen-Esrey Communities recently launched its new Maintenance Plus+Plus program at all Cohen-Esrey properties. When a resident calls to report a maintenance request, the CEC technician will complete the repair as quickly and effectively as possible. Then he or she will proceed to work through a seven-point checklist of other common maintenance issues within the apartments on that specific property. Thus, not only will the resident’s initial request be satisfied, but without even asking, preventive maintenance and / or other repairs will have been performed as well. Another way we approach customer fulfillment is doing what we can to fill in gaps for residents in need. Many residents in Cohen-Esrey Affordable Housing Communities are on fixed incomes or working in jobs with low wages. In our commitment to exceed customer expectation, Cohen-Esrey partners with Preserving US, Inc. and the Harvesters’ Mobile Food Pantry to go above and beyond to serve residents in need. The Mobile Food Pantry travels to several Section 8 and Affordable Housing Apartments in the Kansas City area. These locations have been identified “food deserts,” areas where residents have to go long distances to find and purchase fresh foods. This service provides fresh produce, dairy products and other perishable items to each resident. Approximately 450-500 families are served monthly by this program. Team Member Fulfillment: We genuinely care about each other's well-being and nurture professional growth. Our Building Internal Communities (BIC) Team was established in 2014 for the purpose of identifying ways to create a positive culture and establish a path toward Team Member Fulfillment. The BIC team made a number of recommendations to the Executive Leadership Team that have been or are being adopted including a friendly new team member onboarding program; more robust training; the development of comprehensive roles and accountabilities for every position in the company and the establishment of individual development plans that help create career paths for team members. In 2016, the BIC team changed its name to the Building Internal Culture Team and is dedicated to strengthening the positive culture that has already been created. Various members of the Cohen-Esrey family serve on this team including representation from apartment properties, Cohen-Esrey Communities, Service Technologies, Cohen-Esrey Corporate, Cohen-Esrey Affordable Partners and Cohen-Esrey Capital Partners. 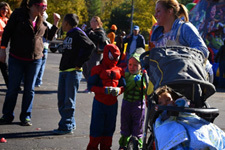 Community Impact: We strengthen and enrich the communities and neighborhoods where we live and work. Cohen-Esrey Properties across the nation partner with their local Big Brothers Big Sisters chapters fulfilling the Cohen-Esrey values of Team Member Fulfillment and Community Impact. Cohen-Esrey partnered with Big Brothers Big Sisters of Kansas City to gift 10 Little Brothers and Little Sisters. The staff joined in a fun activity with the Big Bothers and Sisters with their Little Brothers and Sisters. Each group was given a bike to assemble in 20 minutes or less. The winners accomplished this in only 6 minutes! 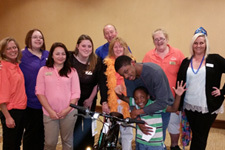 All the youngsters were excited to receive a new bicycle at the event. 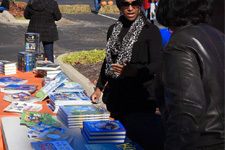 Cohen-Esrey partnered with PreservingUS, Inc. (PUI) and First Books to provide more than 3,000 books to children living at Cohen-Esrey affordable housing properties who may not be able to receive brand new books. 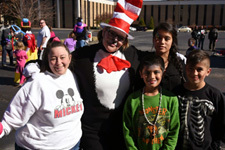 In addition to sending books to properties in Missouri, Kansas, Illinois and Texas, Cohen-Esrey staff put on the Bookworm Festival at its offices in Overland Park, Kansas. 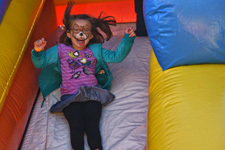 The day was filled with food, fun activities and exciting games for the family! Each child that attended received a brand new book. This project was created to encourage daily reading and cultivate quality family time. 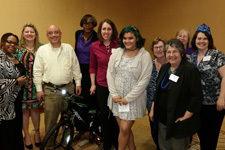 Cohen-Esrey has been a big supporter of the Big Brothers/Big Sisters (BB/BS) program. At the Cohen-Esrey Communities annual meeting in April 2016, more than 100 property managers, regional managers and other Cohen-Esrey team members pitched in to undertake a project for BB/BS. Ten bicycles were purchased, assembled, then presented to ten boys and girls Cohen-Esrey supported through the BB/BS program. One young recipient touched everyone present by sharing her experience of how her Big Sister has helped her through difficult times. The look of profound gratitude on the faces of the children was priceless. And, the sense of pride and the feelings of goodwill on the part of our team were overwhelming. Cohen-Esrey staff members also regularly volunteer at other community events such as the 2016 Valentine’s Day 5k Run and the 2016 St Patty’s Day 5k Run both held in Kansas City.